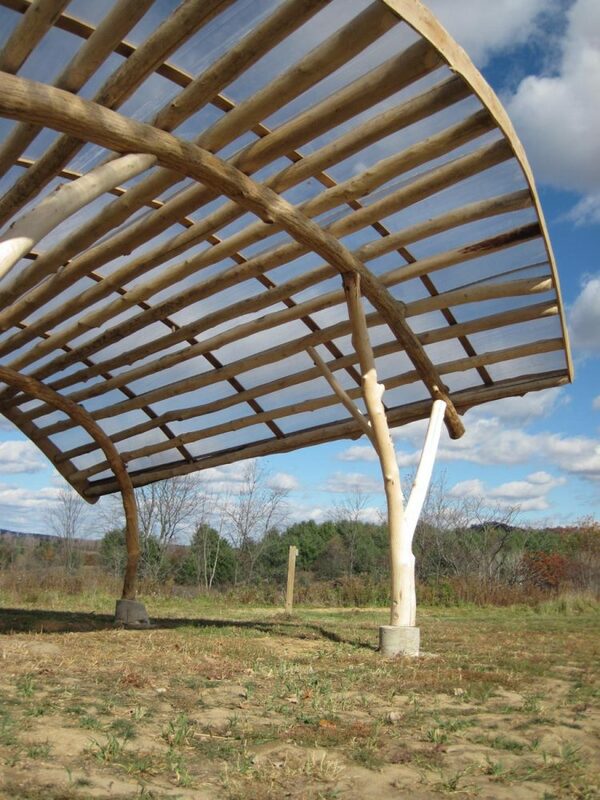 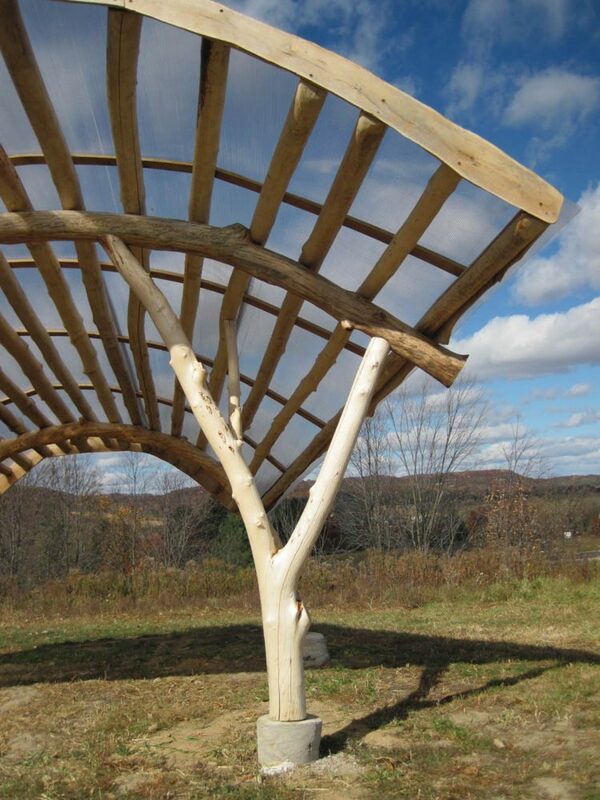 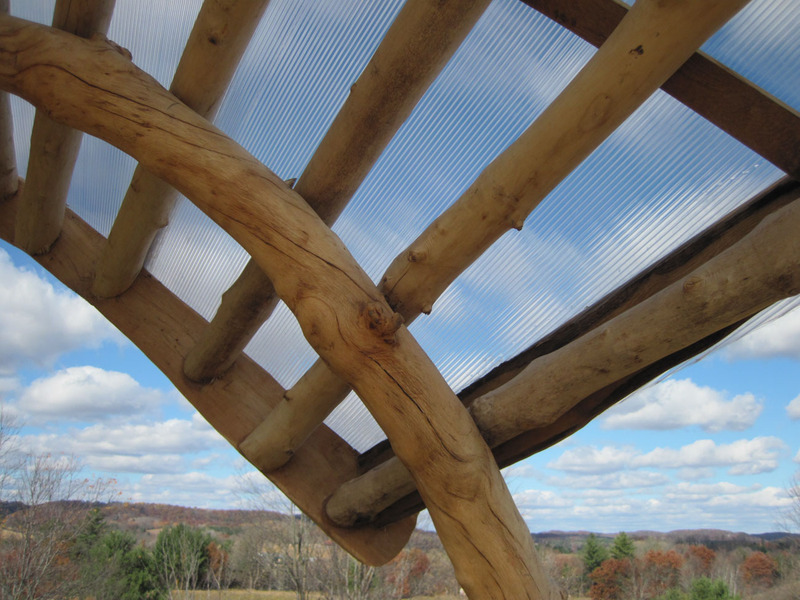 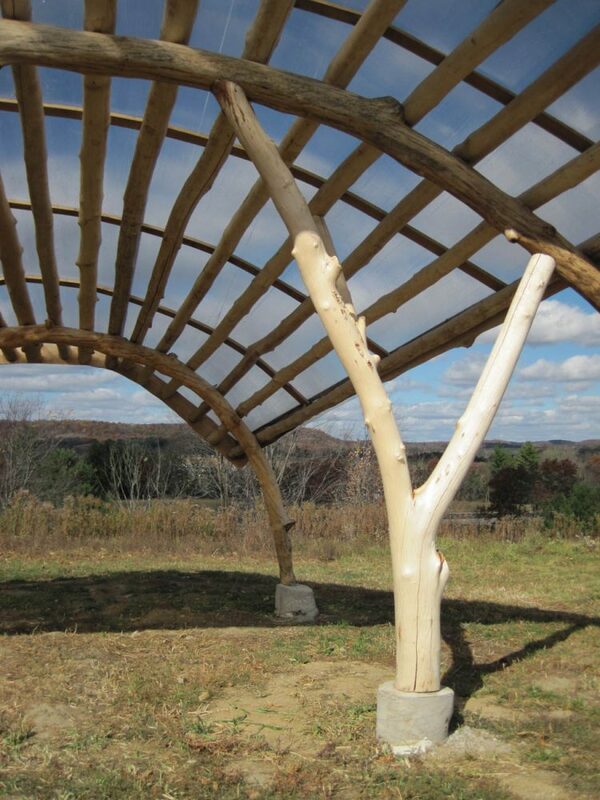 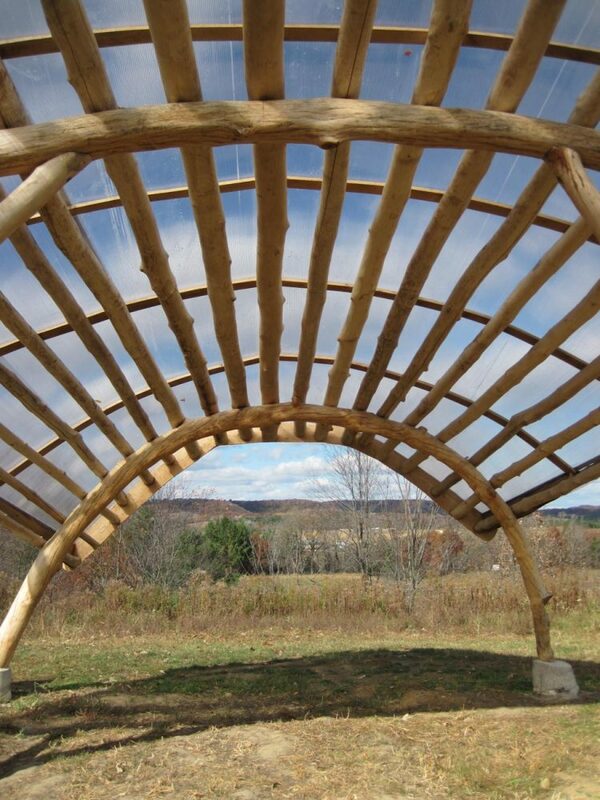 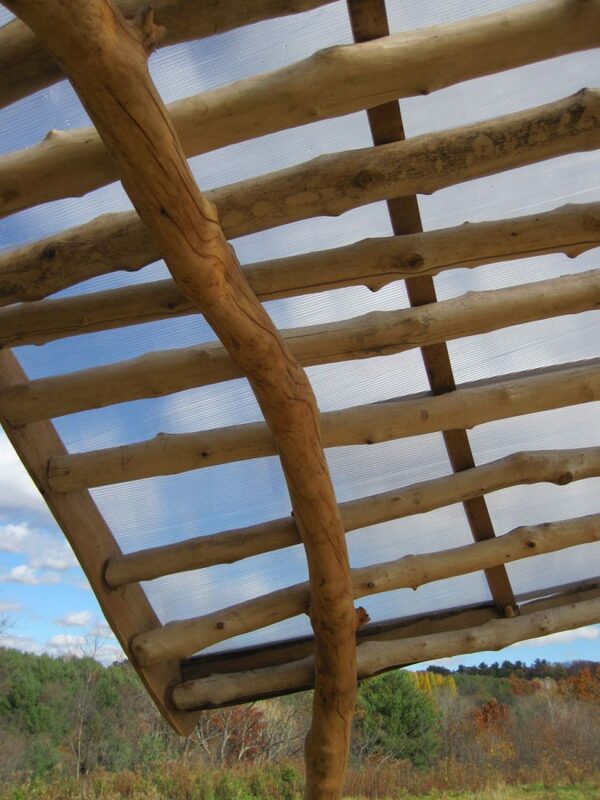 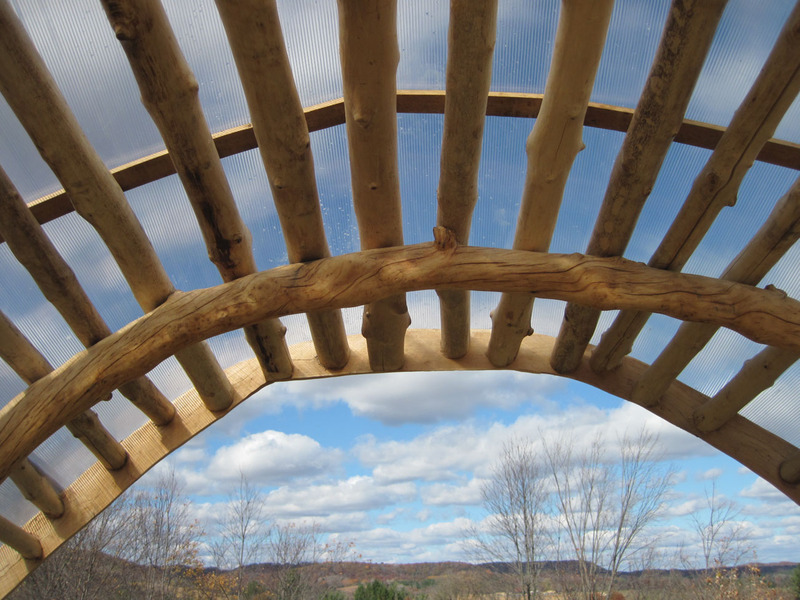 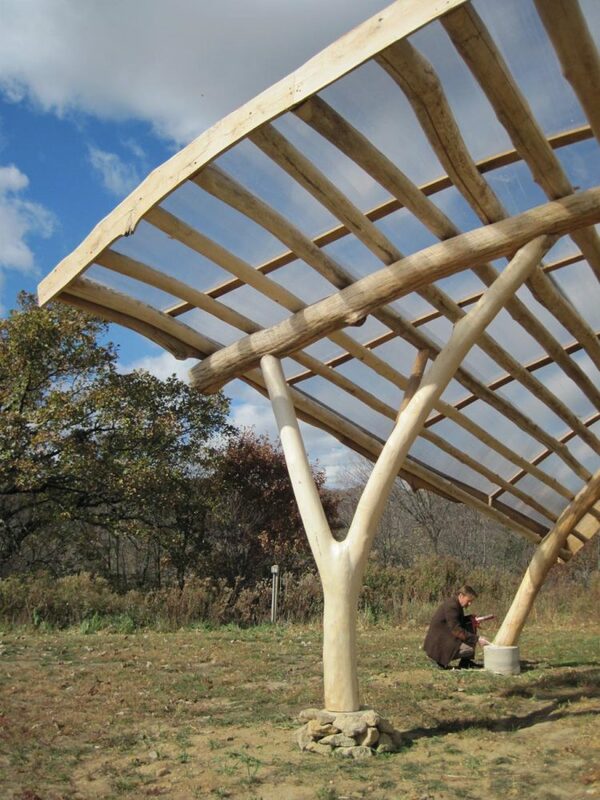 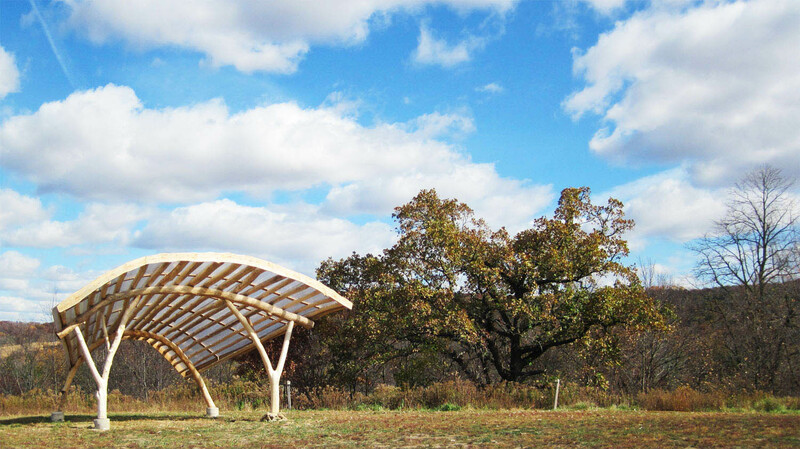 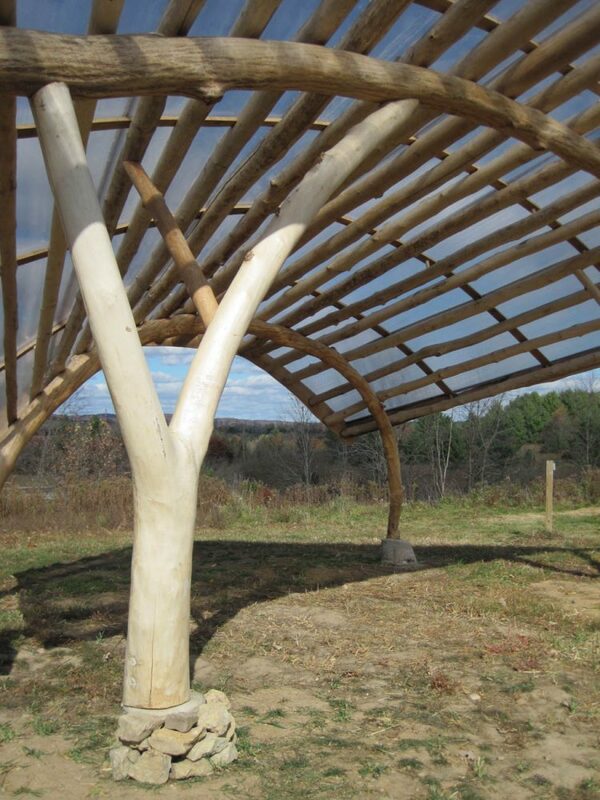 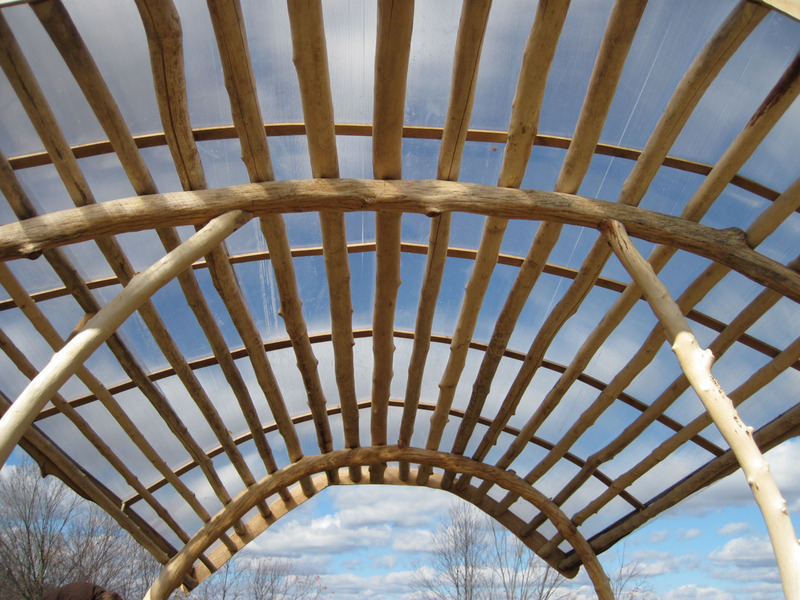 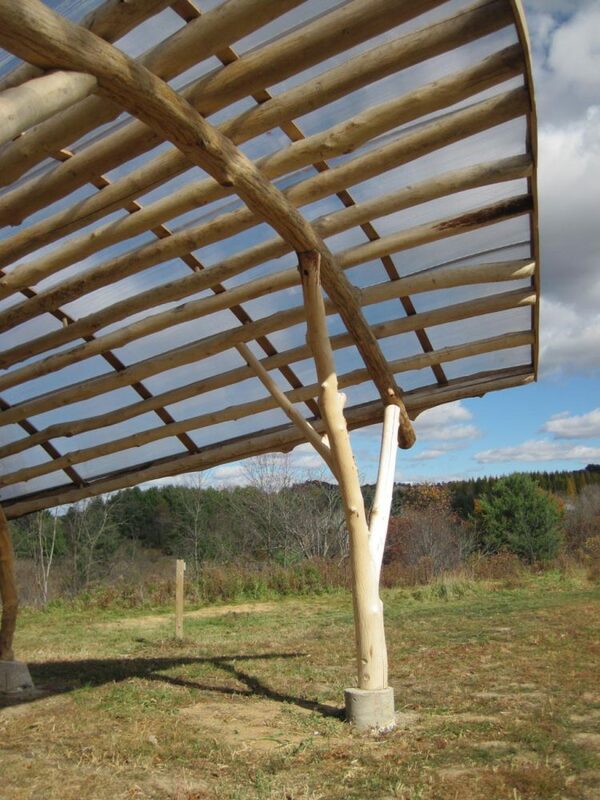 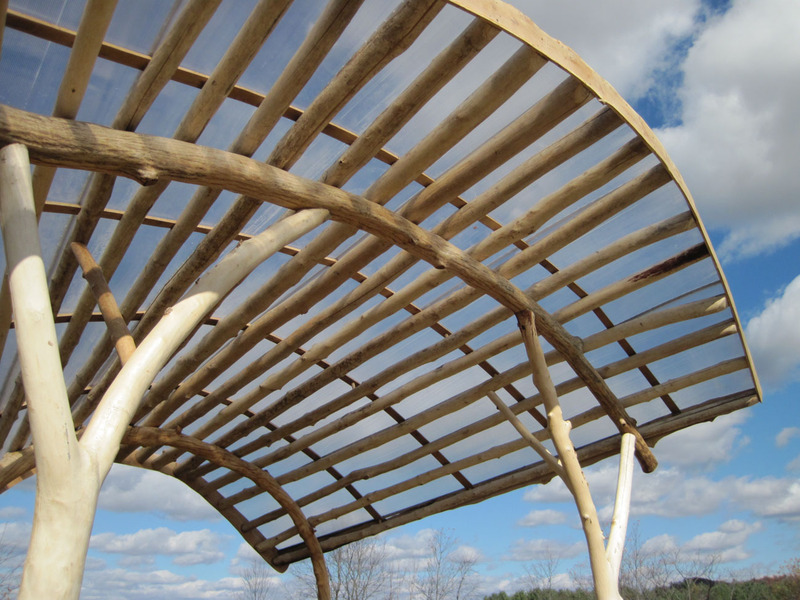 This picnic shelter for Organic Valley’s CROPP headquarters was installed as part of a demonstration workshop during 2012′s Kickapoo Country Fair. 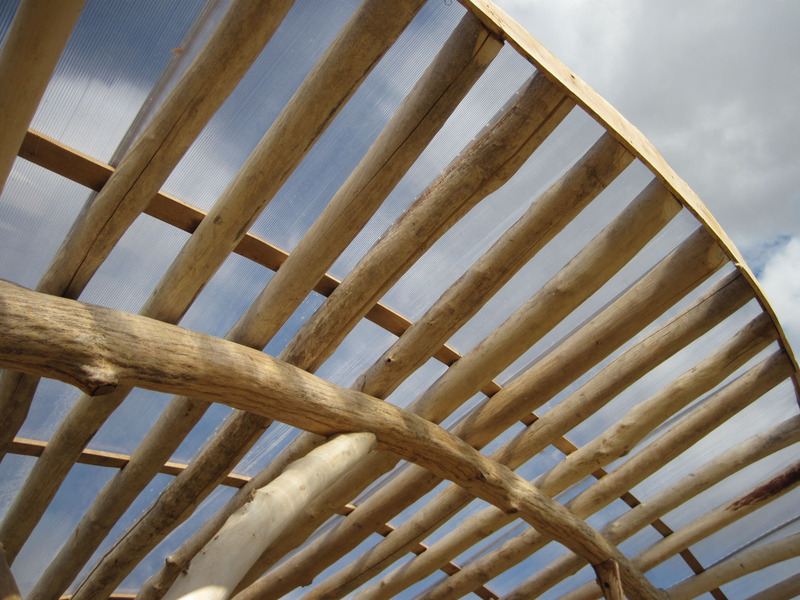 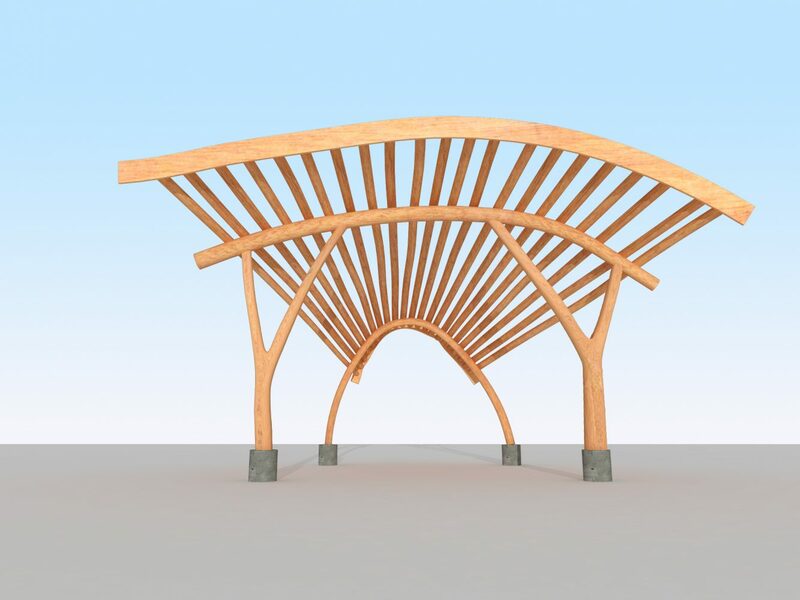 The WholeTrees round timber structural frame has a distinctive half-circle back bent and two branching columns supporting the front beam. 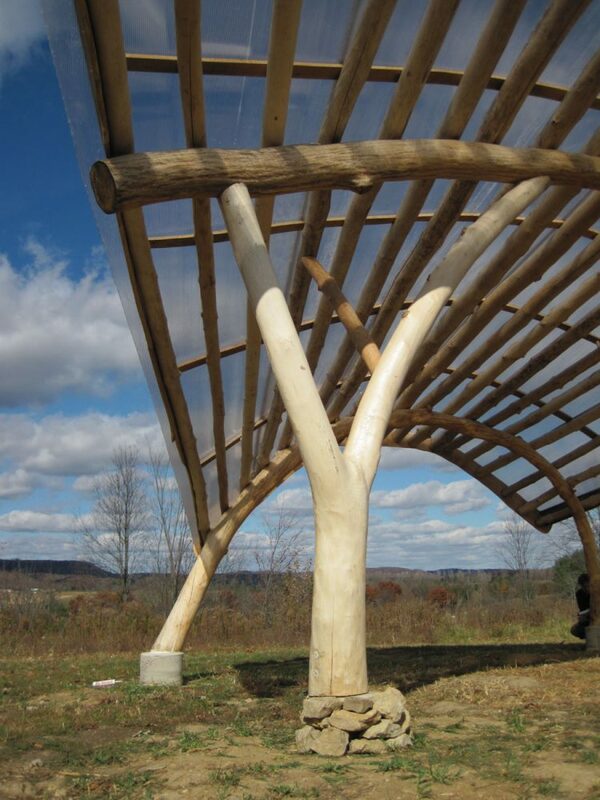 Translucent polycarbonate panels protect the shelter from the elements, while admitting light and highlighting the round timber structure.